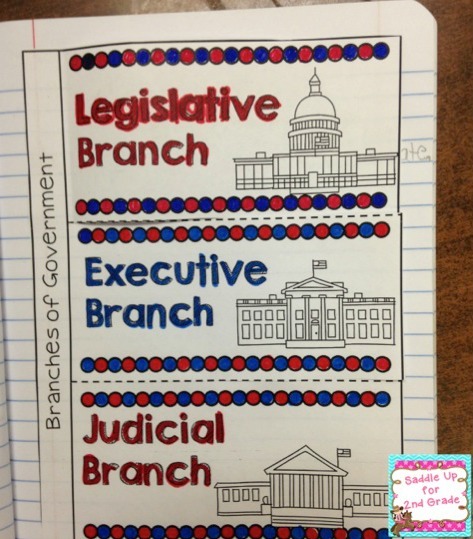 Last week in social studies we learned all about the branches of government. 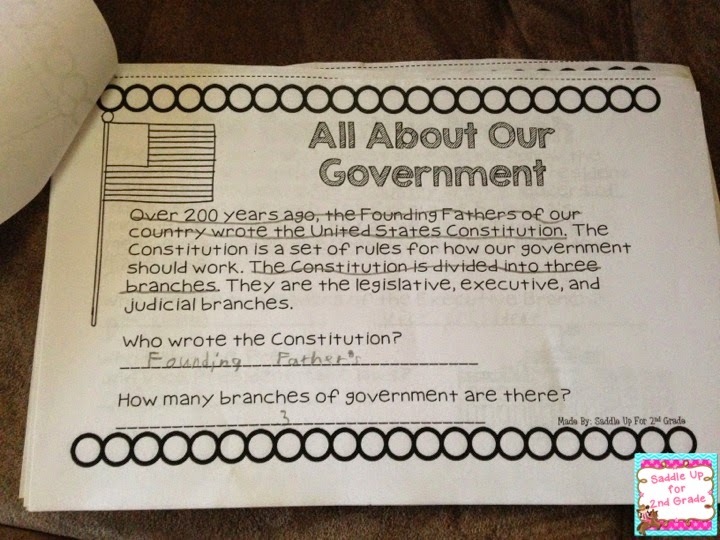 This is such a hard concept for 2nd graders to grasp. 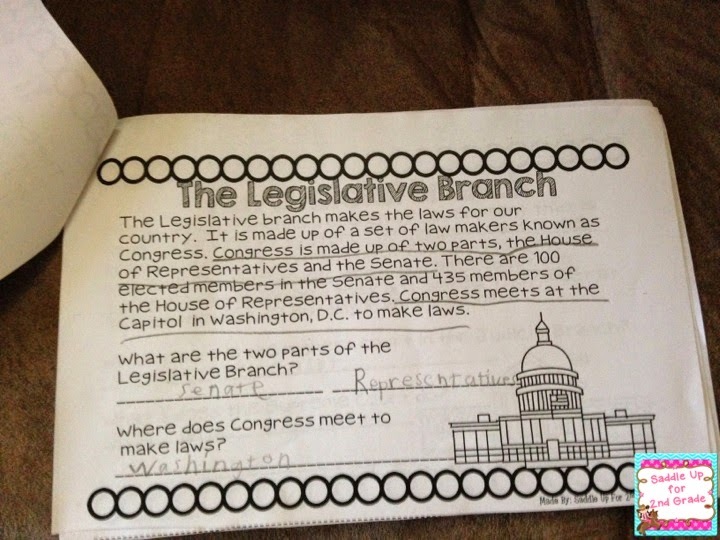 To help them get a better understanding of the concept of the three branches, we used these booklets to help us out. 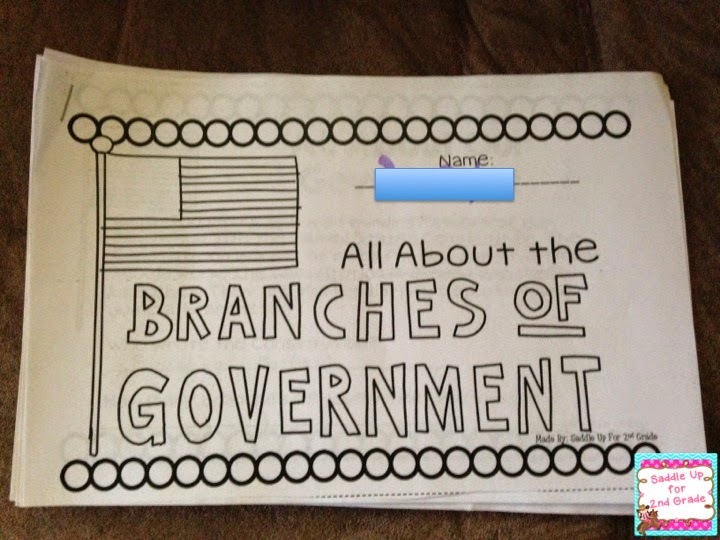 Each day we learned about a new branch. 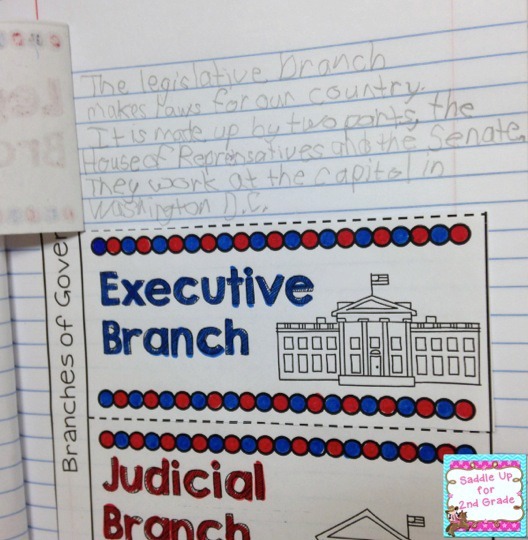 We made these flip books in our journal. 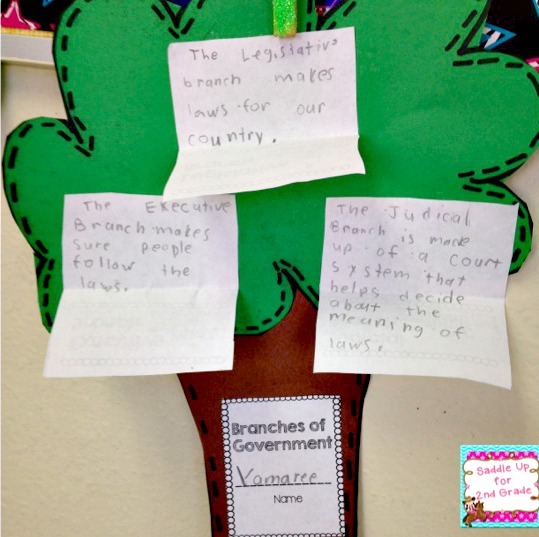 Under each flap, they wrote a few sentences describing each branch and what they had learned. 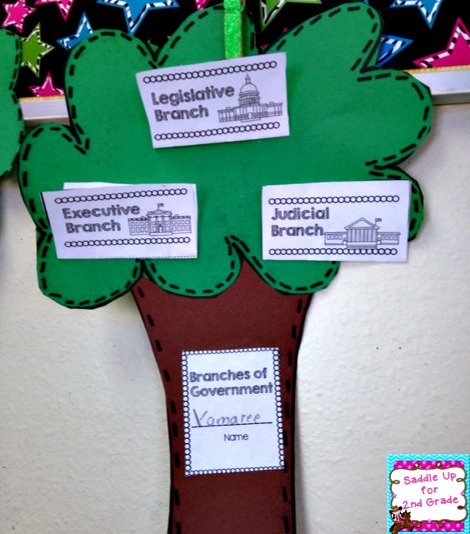 We wrapped up our unit on Friday by making this branches of government craft! 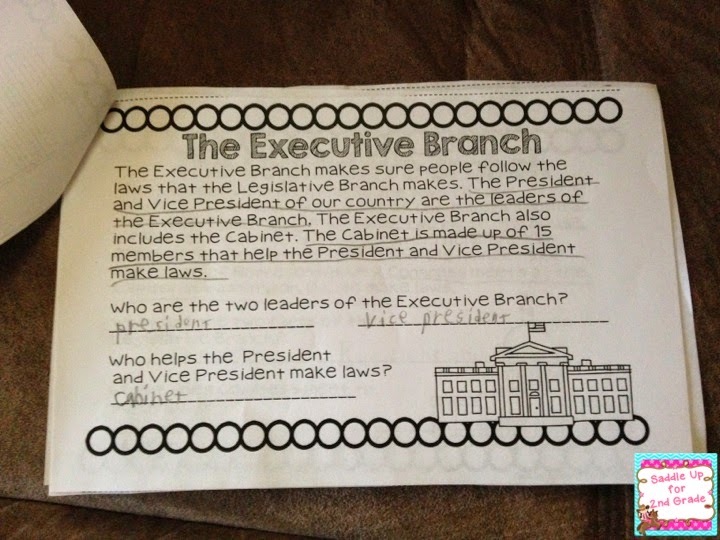 I think they turned out great! 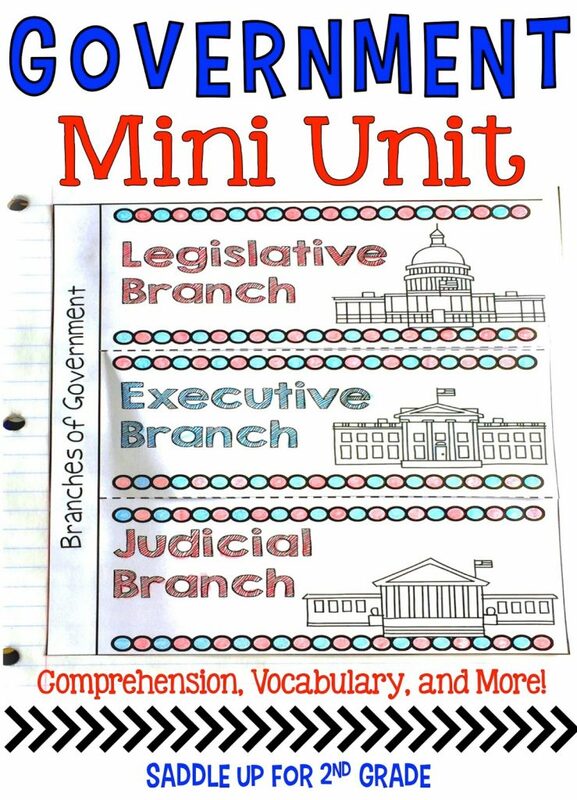 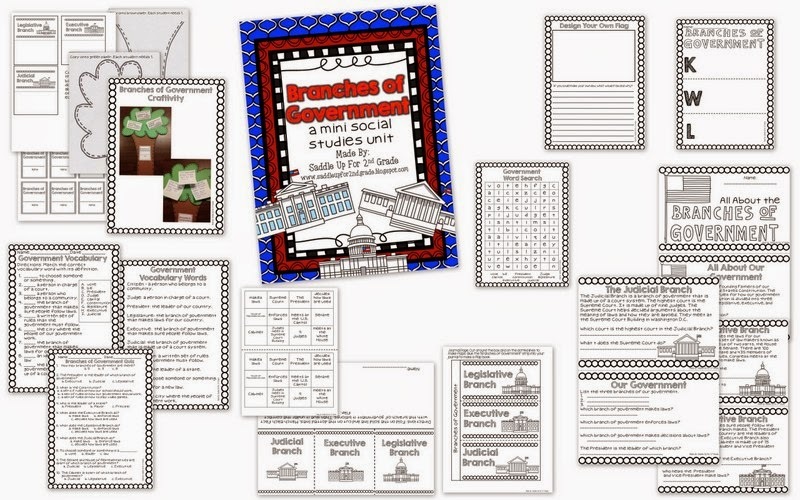 All of these activities can be found in my Branches of Government Mini Unit plus more.